If it’s not broken, don’t fix it, right? Maybe, unless you’re always striving to improve, like our tireless team of designers and engineers. One of our most popular models, the Eterna Mid Size was completely redesigned this year to further its already superb performance features. New for this year, the Mid Size boasts a multi-step eye relief system that allows for comfortable viewing, even with eyeglasses. State-of-the-art multi-coatings give the Mid Size a leg-up on reflective sunlight and are responsible for sharpening edges and protecting colors. The sleek new ergonomic body armor has also been reworked to enhance the appeal for a new generation of Brunton binoculars. 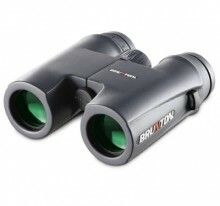 Click the button below to add the Brunton Eterna 8x32 Mid Size Binoculars to your wish list.